Molded High Relief Numbers, Diameter Of Sealing Thread Is 0.6 mm, Very Thin. 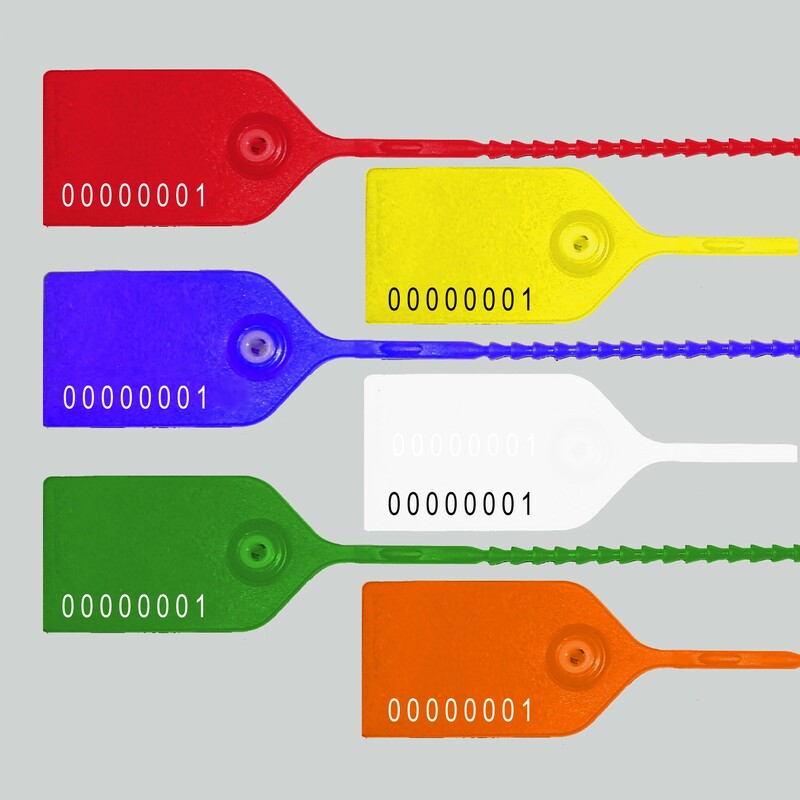 Seals Offer higher security and easier sealing procedure, without the use of tools. Barcode,Custom Print & Logo Available. 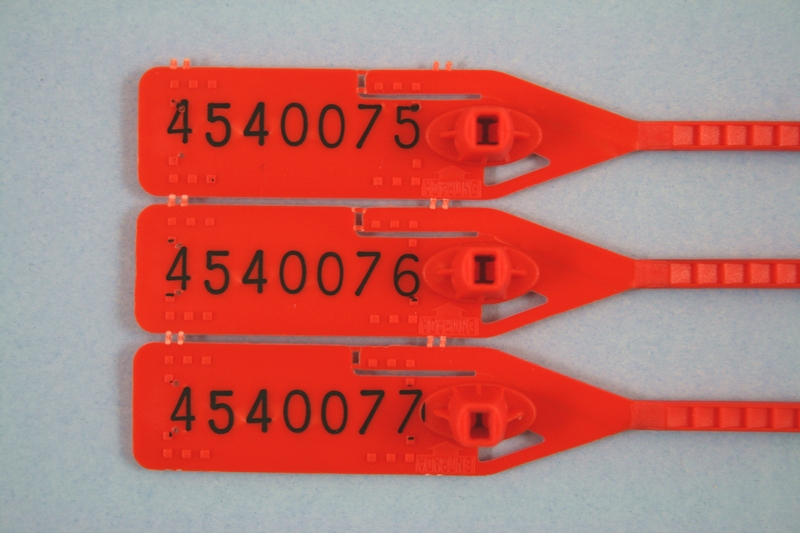 In 1958, Thomas & Betts invented the Ty-Rap cable tie to solve the problem of harnessing the hundreds of wires used in manufacturing aircraft. Today, the Ty-Rap brand remains the benchmark for excellence and innovation in wire management. T&Bs broad offering of cable ties also includes Ty-Fast, Catamount, and Deltec fastening products and tools all designed to make the task of fastening, bundling, clamping and managing wires easier for construction, communications, utility and OEM professionals as well as home improvement specialists and do-it-yourself enthusiasts. When strength, aesthetics, reliability and performance are required, knowledgeable professionals turn to the original and the best source for cable ties and accessories --- Thomas & Betts. 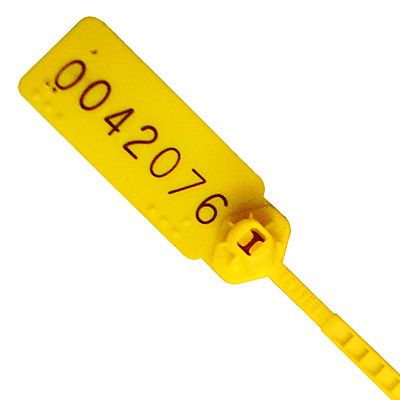 Hand Applied Polypropylene Self Locking and Adjustable Length, Molded High Relief Numbers. Diameter of Sealing Thread is 2mm. 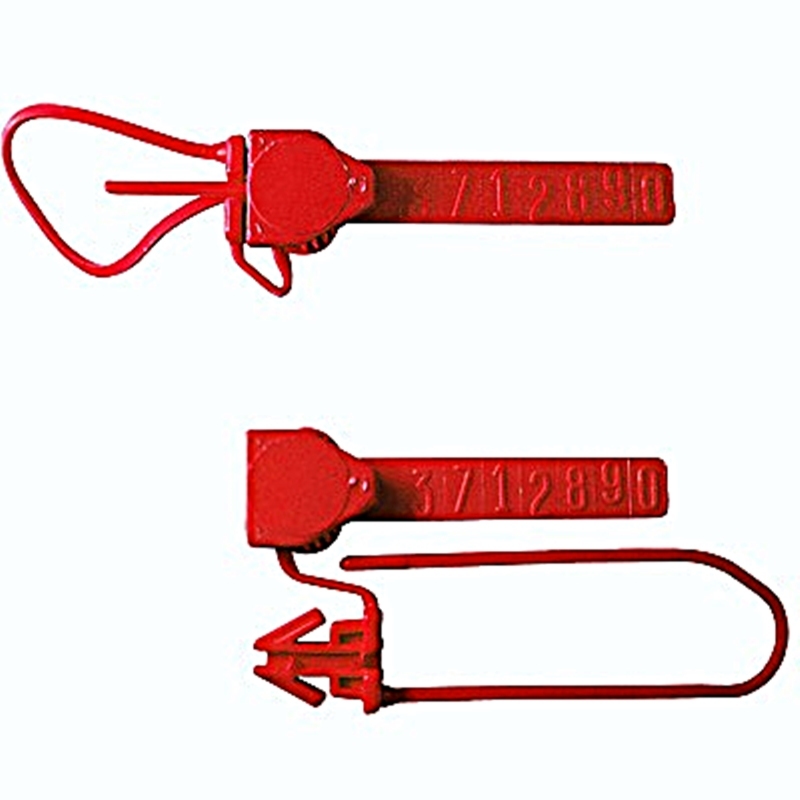 Self locking, galvanized or stainless hasps, assorted colors available. 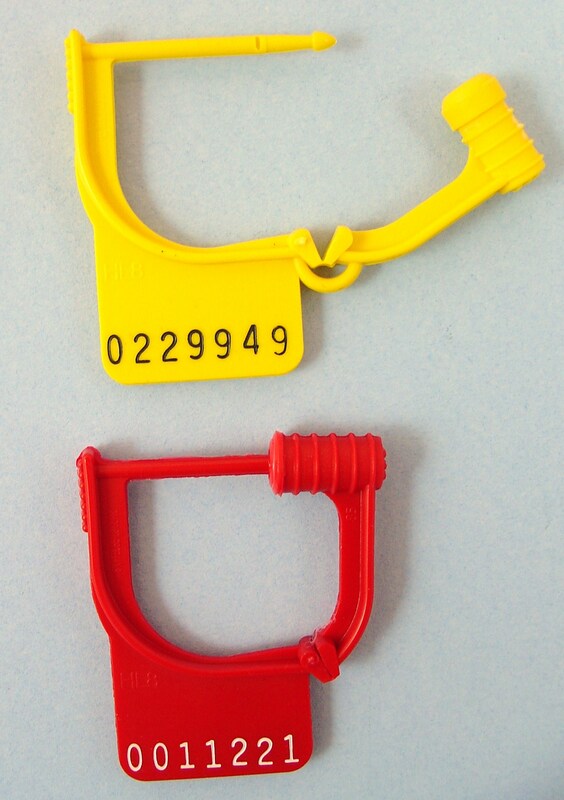 Inexpensive security with corporate name and sequential numbering hot stamped. 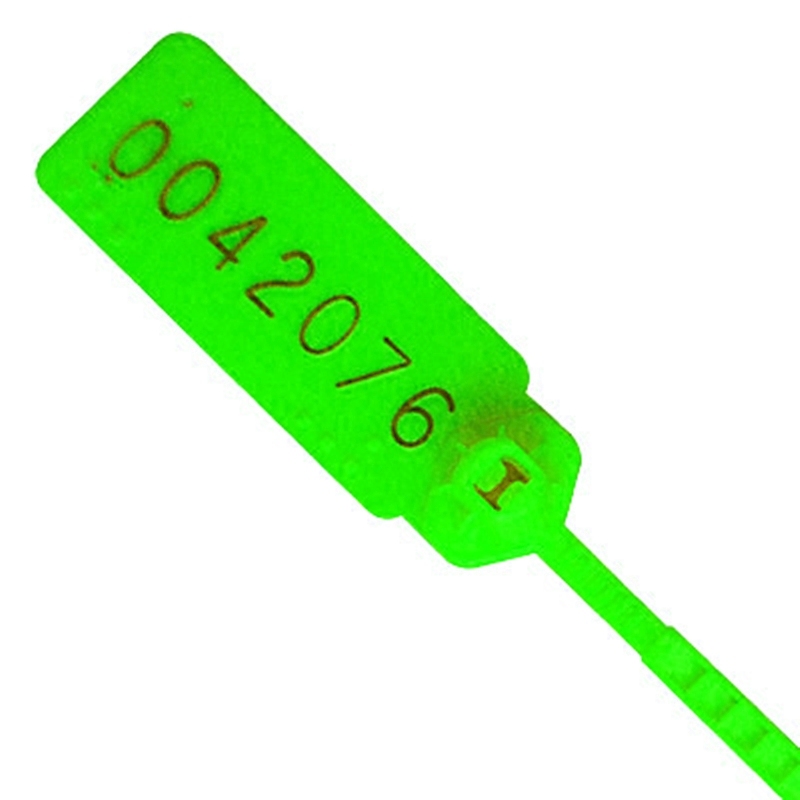 Pull-Lock with heat stamped numbers. 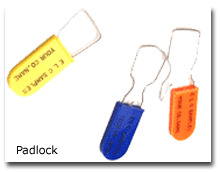 Hand applied polypropylene seal, self locking, and adjustable length. 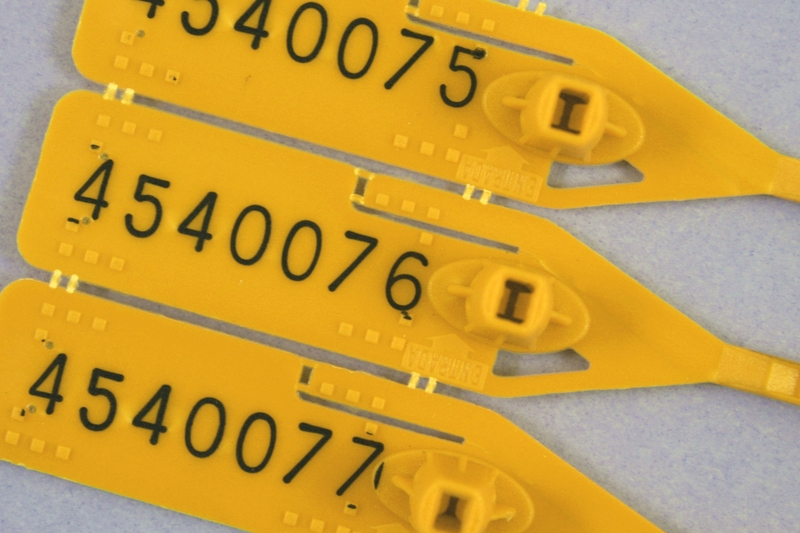 Heat stamped black numbers. Diameter of sealing thread is is 3.2mm. For ATM Cassettes, Carts & Cabinets- Heat Stamped Numbers, Hand Applied, Easy One Hand Closure, Plastic Body Blushes with Tampering. Quick and Easy Removal By Twisting At Break-Point On Spear. 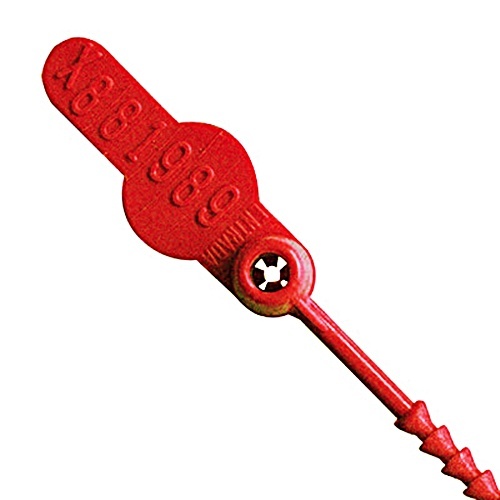 Hand Applied, Hand Tool-less Removal, Polypropylene Self Locking and Adjustable Length, Heat Stamped Black Numbers, Diameter of Sealing Thread is 3.3mm (except TA-3 is 6.47mm). Custom Logo Is Also Available.